Creator-Destructor Records will release the self-titled debut EP by California Thrash Metal/Crossover crushers, WILDERNESS DREAM, this October, and the entire record has now been issued for streaming in its entirety. 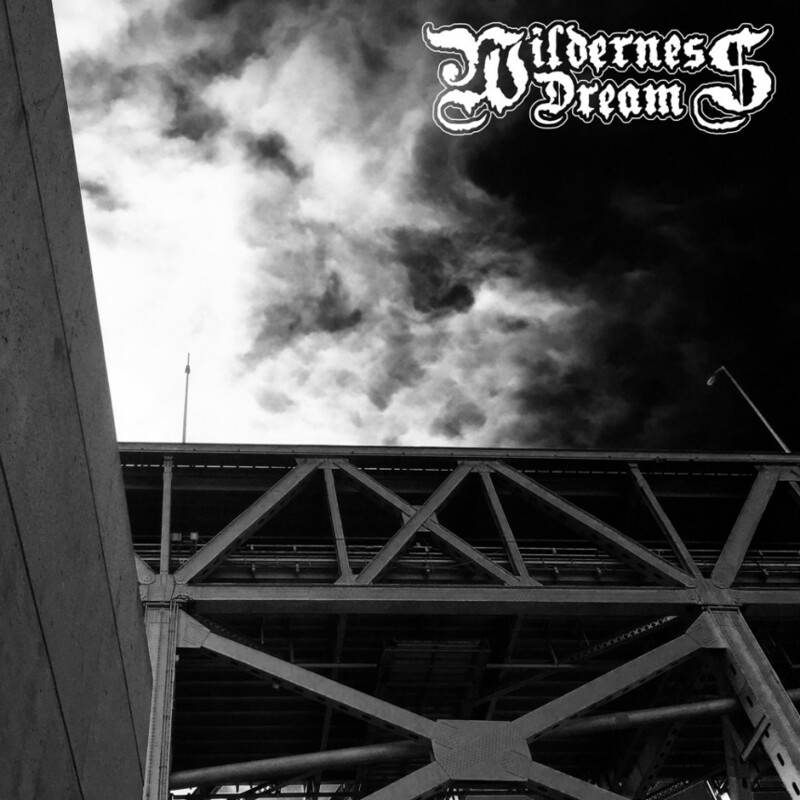 Born from the thrash epicenter of the San Francisco Bay Area comes WILDERNESS DREAM, a brand new, four-piece, heavy metal unit of destruction combining the speed and fury of 80s thrash and 90s death metal, with the melodic leanings and no-frills DIY aesthetic of modern day punk. Though boasting this unique amalgamation of influences, it comes as no surprise that the band would dawn both the melody-infused underpinnings and unrelenting intensity of the members’ current and past projects. With an unhinged vocal sincerity, blistering twin guitar assault, and undeniably crushing and thunderous rhythm section, WILDERNESS DREAM‘s sound and identity has now been established, as proven on their self-titled debut EP, which was recorded, mixed and mastered by Scott Goodrich in July of 2015 at NuTone Studios in Pittsburgh, California. Clocking in at just under fifteen minutes, the six songs that comprise the band’s debut release reflect a sonic attack reminiscent of thrash legends Sacrifice and Testament, with a violent and unrestrained vocal approach, more akin to crossover acts such as Cursed, Ringworm, and Integrity. Lyrically, Murray adopts a more stripped-down and bleak approach to the death-obsessed, anxiety-ridden regurgitation of his experience, moving through an overpopulated, immoral, and devastatingly distracted human landscape, and exploring his interpretation of the futility and uncertainty of life, while never negating our all-encompassing, ever-growing and universal fear of the end. WILDERNESS DREAM consists of guitarists/vocalists Ben Murray and Ryan Hansen, drummer Trey Derbes and bassist Bret Fontaine. Murray is the current frontman of Heartsounds, and former drummer of now defunct Prosthetic Record-signed, Light This City, and Heartsounds drummer Trey Derbes provides the ripping percussive style, offering a natural, live, and completely unedited approach to the drum production. While Murray and Derbes began writing what would become the band’s debut release throughout the past few years, it become an entity of its own until Ryan Hansen entered the fold supplying second guitar and vocals, followed by Bret Fontaine joining in on bass guitar. Hansen and Murray share a musical history as well, as Hansen played lead guitar in Light This City, which contributes to the cohesive musical vision and camaraderie of what has now become WILDERNESS DREAM. WILDERNESS DREAM’s entire self-titled EP is now streaming in its entirety at THIS LOCATION. Wilderness Dream will see an October 16th release via Murray’s label, Creator-Destructor Records, in 12″ 180-gram black vinyl, with a silkscreened B-Side in a gatefold jacket with download included, as well as all digital outlets. Preorders for the vinyl are available HERE. The upcoming year will see WILDERNESS DREAM on the road in support of their debut, having recently confirmed a hometown San Fran gig on October 27th, and a set at The Fest 14 in Gainesville, Florida on October 30th. Stand by for further an extensive list of tour dates to be announced throughout the rest of this year and into next to be announced. Furthermore, the band will record a second EP for release in late 2016. WILDERNESS DREAM of guitarists/vocalists Ben Murray and Ryan Hansen, drummer Trey Derbes and bassist Bret Fontaine. Murray is the current frontman of Heartsounds, and former drummer of now defunct Prosthetic Record-signed, Light This City, and Heartsounds drummer Trey Derbes provides the ripping percussive style, offering a natural, live, and completely unedited approach to the drum production. While Murray and Derbes began writing what would become the band’s debut release throughout the past few years, it become an entity of its own until Ryan Hansen entered the fold supplying second guitar and vocals, followed by Bret Fontaine joining in on bass guitar. Hansen and Murray share a musical history as well, as Hansen played lead guitar in Light This City, which contributes to the cohesive musical vision and camaraderie of what has now become WILDERNESS DREAM.